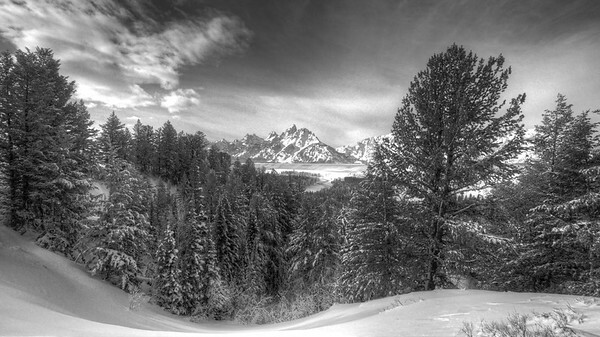 A fresh layer of snow drape the Tetons and the winding Snake River. 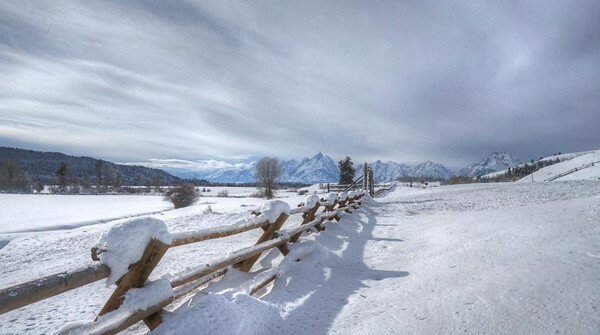 A snow capped fence wonders off in the direction of the Grand Teton Mountains in Jackson Hole Wyoming. 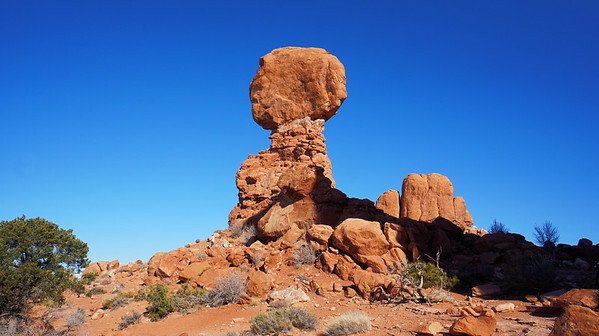 Balanced Rock is one of the most popular features of Arches National Park. The total height of Balanced Rock is about 128 feet, with the balancing rock rising 55 feet above the base. The big rock on top is the size of three school buses. 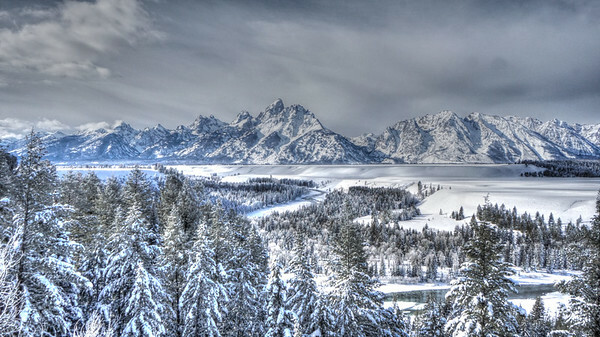 Jackson Hole, which lies at the base of the Teton Mountain Range receives a fresh powdering of snow. The Snake river winds its way down through the valley.